Thomas Birkner is Akademischer Oberrat of communication at the Westfälische Wilhelms-University. His research is based in journalism studies, political communication, communication history and media systems. Elke Grittmann is professor for media and society at the University of Applied Science Magdeburg-Stendhal. Her work deals with visual communication, communication gender studies, media and migration, as well methods of visual analysis. Anne Kaun is an Associate Professor at Södertörn University, Stockholm, Sweden. She is mainly interested in how media technologies enable and constrain organization and mobilization within social and protest movements in terms of temporality and spatiality. Christine Lohmeier is a professor of communication and media studies at the Center for Media, Communication and Information Research, University of Bremen. Her research relates to inter-/transnational communication, media and memory and identity and belonging more broadly. 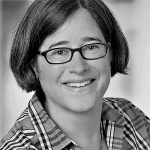 Judith Lohner is a project manager with HRK-EXPERTISE Internationalisation at the German Rectors’ Conference. Her research focuses on international and transnational comparative journalism studies, media memory studies, journalism and transitional justice, media and democratization, transcultural communication, and the European public sphere. 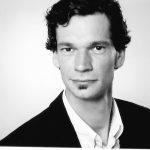 Manuel Menke is an associate researcher at the Institute for Communication Studies and Media research, Munich University. The focus of his work rests on media nostalgia, memory practices, media change and society change, communication history, journalism studies, communication and media ethics, and narratology. 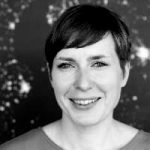 Anke Offerhaus is university lecturer at the Institute for Historical Journalism, Communication and Media Studies (IPKM) and postdoctoral fellow at the Centre for Media, Communication and Information Research, University of Bremen. Research interests: journalism research, media and public sociology with a focus on European publics, media reception/appropriation with emphasis on religion, and online mourning. Dimitri Prandner is a senior lecturer at the University of Salzburg, Austria. He is mainly interested in the sociology of culture, sociology of news, power as social dimension, cultural trauma theory, cultural narratives and discourses, methods of the social sciences, sociology of work, plus gender and minority issues. Christina Sanko is a research associate at the Centre for Media, Communication and Information Research, University of Bremen. In her work, she studies intercultural and transcultural communication, ethics of communication and media, and journalism. Andreas M. Scheu is a post-doctoral research fellow at the at the Westfälische Wilhelms-University. He is interested in mediatization, science communication, qualitative methods, and the disciplinary history and history of theories of communication studies. 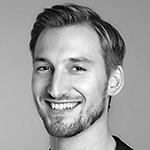 Christian Schwarzenegger is Akademischer Rat at the Institute for Media, Knowledge and Communication, Augsburg University. He conducts research on the following fields: media change and society change, communication history, communication and space, media and everyday life, and the theories and history of the field of communication research..
Kaya de Wolff is a doctoral candidate at the University of Tubingen. In her work she is interested in media and cultural analysis, media memory culture, postcolonial theory, media and globalization, visual culture, and qualitative methods. Rieke Böhling works as a research associate in the Institute for Historic Journalism, Communication and Media Studies at Bremen University. Her projects deal with Migration studies, cultural representations of migration and migrants in different media, interpretative text analysis. 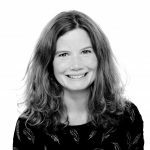 Joanne Garde-Hansen is Reader in Culture, Media and Communication, and directs the Centre for Cultural & Media Policy Studies and teaches on the MA Global Media and Communication at the University of Warwick. Her research and teaching focus upon media, memory, archives and heritage. Rik Smit is an Assistant Professor for Media Studies at the University of Groningen in the Netherlands. He is interested, among others, in Memory Studies, Social and Alternative Media, and Journalism Studies. 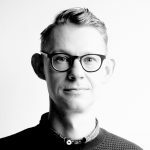 Leif Kramp is research coordinator of the Centre for Media, Communication and Information Research (ZeMKI) at the University of Bremen. He focuses on media and communication Studies, journalism research, transcultural communication, international media cultures, global media change, media and cultural politics, media history and heritage media management. Katharina Niemeyer is professor for media theory at The Media School, University of Quebec at Montreal, Canada. She is particularly interested in the relation of media, memory, history and nostalgia as well as in (international) media events, their ‘liveness’ and commemorations or artistic extensions and transformations within popular culture and fiction. Philipp Seuferling is a doctoral student in the School of Culture and Education, Södertörn University, Sweden. His general research interests lie in the intersections of media and migration studies, media history and memory studies, especially in Germany, Sweden and Finland. 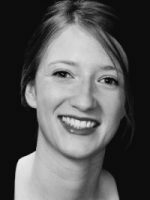 Vivien Sommer is a research associate at the Leibniz Institute for Research on Society and Space. 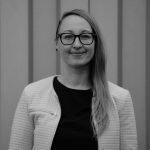 As a postdoc she is part of the DFG-funded project “Socio-spatial Transformations in German-Polish ‘Interstices’ – Practices of Debordering and Rebordering”. Her research is based in ethnography, discourse analysis, qualitative social research, sociology of media and communication, sociology of knowledge, visual sociology, and social memory studies. 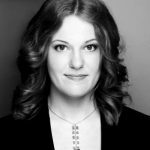 Stefanie Trümper is a research fellow at Deutsches Klima-Konsortium in Berlin and is responsible for the organization and conception of the K3 congress on climate, communication and society. Furthermore, her research and teaching interests include media and communication science, comparative journalism research, media memory research and media systems. Martin Zierold is professor for organization theory and change management at the University for Music and Theater, Hamburg. His academic work revolves around cultural management, non profit management, knowledge management, organization theory and change management, digitization and media history, media and cultural theory, media culture. 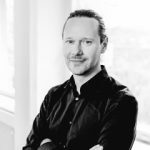 Martin Krieg is department manager for digital media at the German Audit Bureau of Circulation (IVW) . Oren Meyers is professor at the Haifa University, Isreal. His research interests focus on journalistic practices and values, collective memory and popular culture.